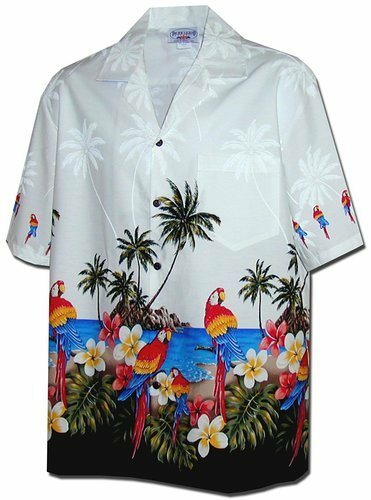 This Pacific Legend Parrot Hawaiian Shirt is a classic. It is one of our most popular Aloha shirt prints on a predominantly white background. I love this shirt. Besides it looking good it is really comfortable. My dad very love this shirt. The buttons of the shirt are loose. This is a gift for my son- in-law. I have not opened it yet.